If you take our Ribcage rim and lace it to our Roloway front hub, you’ll end up with one of the strongest front wheels you can get. Matches our Elite FC and Elite CSST rear wheels. Comes stock with our High Pressure Rim Strips. The new Roloway hub is a precision sealed front hub with 3/8” in-bound axle bolts and two plastic hub guards. An oversized axle, bearing configuration and 7075-T6 aluminum hub shell is used for unmatched durability. Axle: 20mm 7075-T6 aluminum female axle with steel helicoiled threads. The Ribcage is our strongest rim. It features thick outer walls, cross-over-spoke lacing, and our patented “Rib” design. 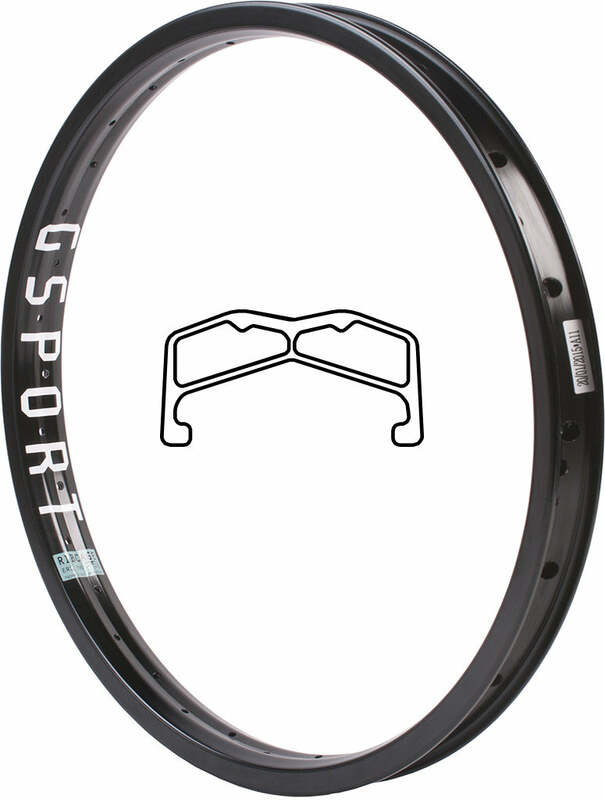 Black or Chrome Rim from $159.99 Vandero Pro front hub. Polished Hub $159.99 Vandero Pro front hub.